Despite hemp’s long history as a material used to manufacture textiles and fabrics, modern garment producers have yet to embrace cannabis-based clothing. The reason, if you ask the biggest companies in the industry, has been feel. Hemp may be great for producing industrial fabrics, they say, but as a wearable, its coarseness is a problem. And especially for consumers used to the touch and feel of cotton. But Levi Strauss & Co. are about to spark a paradigm shift. The company says it has created a new line of clothing made with hemp that “feels just like cotton,” yet uses a fraction of the water required to cultivate cotton. 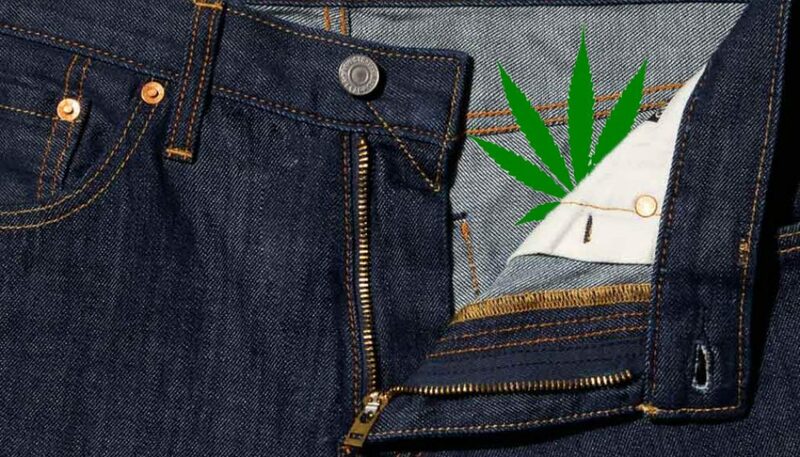 Levi Strauss & Co. say they’ve developed a technique that solves the problem of rough, course hemp. Their fiber technology specialists say the result is a hemp-based fabric that is almost indistinguishable from cotton. But while customers might not notice the difference, Mother Earth will. Hemp cultivation, compared to many other agricultural products, is significantly more sustainable. Hemp’s carbon footprint is about half that of conventionally farmed cotton. And because hemp is a hardy plant that can grow in many climates, it uses much less water. Levi says it sources its hemp from raid-fed crops. This reduces water consumption by about a third, compared with cotton. Levi’s hemp-sourced garments are on offer in the company’s Wellthread by Outerknown spring/summer collections. For now, they just include jeans and a trucker jacket, but Levi plans to expand the selection soon. The jeans and jacket are a cotton-hemp blend that’s 70 percent cotton, 30 percent hemp. Levi’s Wellthread line, developed in partnership with sustainable clothing company Outerknown, is also making strides toward reducing environmental impact through other manufacturing methods, including recyclable nylon and waterless dying techniques.